Finally things are starting to progress again. The last few issues felt very stagnant and a rehash of a lot of things we have seen before. Now with this issue the battle is progressing and we are building up to an explosive end. 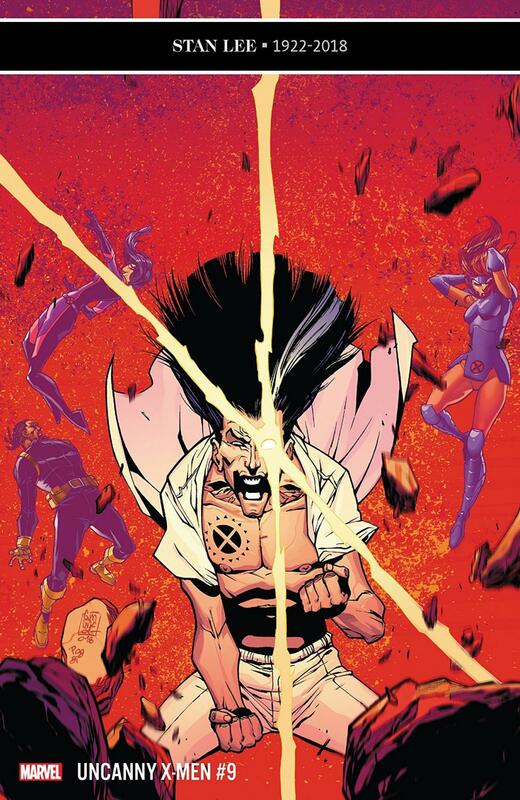 While we know that to come we will move into the Age of X-Man but we still don't know how he will pull it off. One thing I did really enjoy about this issue and no spoilers, but some X-Men who have been out of the spotlight for a long time make an appearance. It was great to see their faces again and maybe we will get more of them in future issues. There is one part of this book/series that I am still struggling with though. Anole and Beasts argument about Anole stealing the Mutant Vaccine and giving it to the government. This asks so many questions and while Anole's reasons are answered in this issue, the larger question being why did Beast even make the vaccine in the first place!? This is the "cure" all over again but now it's Beast's fault. Man he just can't stop messing things up can he? It's his fault we had to have the original five around for so long and mess the time stream up and now he's going to cause innocent mutants to be de-powered!? Color me unimpressed Mr McCoy! So It was nice to see this issue really redeem a series that has been faltering and not living up to expectations. Maybe there is hope yet for Uncanny X-Men to become a flagship title for Marvel like it was before all the Fox/ Disney mess. That being said if things continue to pick up then I do recommend staying on this roller coaster as it could very well be an pretty insane ride in the near future.